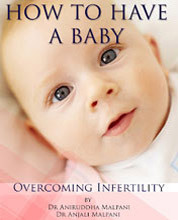 In keeping with our philosophy that patients should become experts on their medical problems, the full-text of our book, how to have a baby -- overcoming infertility is now available free on the internet. This 400 page book is designed to empower infertile couples with the information they need, to help them to get the best medical care, in partnership with their doctor. Fallopian Tube Testing. HSG -Hysterosalpingogram. Sonosalpingogram. Pregnant at last - how to make sure you have a healthy pregnancy after your infertility treatment is successful! Embryo Transfer - the climax of the IVF treatment !